Remember when Lohan was portrayed as the incorrigible bad-girl alcoholic who would never change—i.e., enter recovery? She may not now be in “recovery” in the sense that word is most often used in America. But she sure has changed. There have perhaps been five ages of Lindsay Lohan. First came the child model, television actress, and phenomenally successful young Disney performer, starting with the 1998 movie The Parent Trap, when she was 12, in which she played twins. Still in her teens, she made the hit film Mean Girls in 2004. Around that time, she also made two successful music albums. Then came the troubled Lindsay, who—still making films and music—took over managing her life from her troubled parents. Self-management didn’t work well for Lohan, and she was hospitalized in 2006, aged 20, for “exhaustion” while filming, leading to her being deemed unreliable by Hollywood producers. This crescendoed into a series of drunken episodes and traffic arrests, court involvements and repeated rehab stays. Thus Lohan entered a period when she was regarded, and regarded herself, as alcoholic, including attending AA. Oprah Winfrey interviewed Lohan in 2013 after a recent stint in rehab and elicited a somewhat hesitant acknowledgement from Lohan that she was an “addict.” In 2014 Oprah produced an eight-episode docuseries, Lindsay, in which Lohan did not appear altogether self-possessed, with repeated reports that she had been partying and drinking. 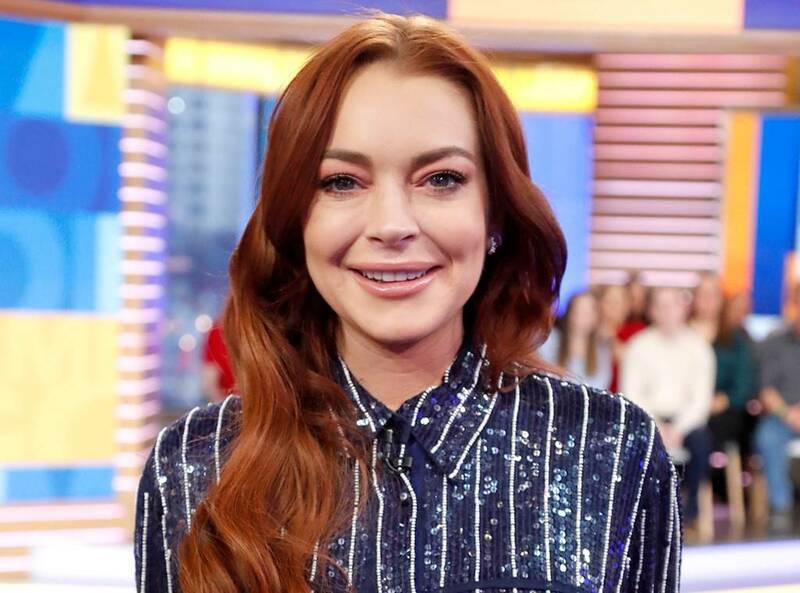 In a somewhat quiet period that followed, Lohan lay low—or as low as she could—still appearing in various media and TV reality series, with accompanying rumors about her behavior and health. Now, in her 30s, Lohan has emerged as the partner in an Athens nightclub and several Greek beach clubs, leading to this year’s MTV series, Lindsay Lohan’s Beach Club. She makes no reference to treatment, AA or addiction. We don’t know whether she currently drinks or not, but that’s beside the point. More importantly, she doesn’t define herself by her previous problems. Nowadays, Lohan doesn’t publicly identify herself as being in recovery. Instead she has developed interests in politics (although the Obama campaign rejected her involvement) and spirituality—Lohan reports that she meditates and is studying different religions. She doesn’t speak about being in therapy or support groups. At the same time, her life has definitely become more stable. She has always been involved with her younger siblings, and her mother gushes over Lindsay now being the family’s “momager” (mom-manager). And Lohan is a businesswoman, one who has worked and largely managed herself since her late teens. True, she has run into trouble there too (for instance, she seemed to go broke and once ran afoul of the IRS). Still, without any business training or much education she has achieved much in the entertainment world, with sidelines like creating her own fashion brand. Now designing and managing clubs, she takes her work seriously—almost too seriously for some: “She’s really strict. But that’s being a boss—you have to be a hard a** sometimes. She’s very personable so you get to know her as a person. She’s been through a lot too,” said employee Sarah Tariq. Which is the right way to run a business with many employees and a large cash flow. And creating a major cable series like she has for MTV is another daunting enterprise at which Lohan seems to be succeeding. How is that possible? She told Oprah in front of millions of viewers that she was an addict (she said she took cocaine 10-12 times in order to drink more). Isn’t that a life sentence? She drank alcoholically for years. She has spent hundreds of days in rehabs. And now, in her early 30s, she wants people to believe she’s a normal, hardworking, nice businesswoman who isn’t anchored to her past? Thus, Lohan represents the standard route to achieving recovery—make that normality. The dramatic stories we hear from Hollywood stars about their addictions are nearly always classic recovery tales involving AA, rehab and abstinence. Yet if we look, we can find, even there, equivalent stories to Lohan’s—for example, Drew Barrymore’s. And, of course, coming from the other direction, we discover people claiming to be in recovery who are consuming dangerous combinations of substances. As people age, accept adult responsibilities, and assume age-appropriate maturity, which can be sooner or later in the context of different lives, most grow out of addiction. Whether or not they are in a program or drink is not the primary source of their wellbeing. Having a purposeful life is. And this is the true recovery story.